Installing renewable energy power sources such as wind turbines and solar panels typically requires a substantial capital investment even for domestic-scale units and especially so for larger units for use at business sites. This investment is often made without detailed knowledge of how much power the units are likely to generate in practice. 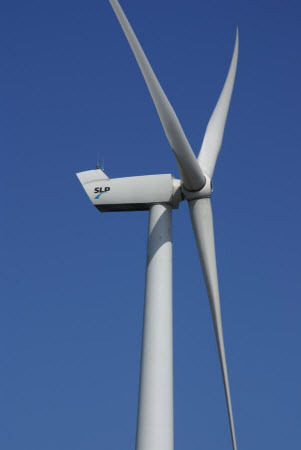 For example, although the power output characteristics of a given model of wind turbine can be supplied by the manufacturer, the actual output will obviously depend on just how windy it might be over the course of a year at the installation site. And although there are general historical records for wind speeds in different UK regions available, these inevitably represent averages over quite large areas and cannot reflect the considerable local variation in windiness that occurs. So, before making a potentially large investment with an uncertain payback, it can make a lot of sense to survey actual weather conditions at the proposed installation site for a period before committing to the expenditure. Would you like to see the weather data in real-time or to download it to a PC relatively frequently (eg daily or weekly) – having taken the step of installing your own weather station then you might wish to make as much use of the data as possible? Or are you content to review the data on say a monthly or quarterly basis? Is it only wind data that’s of interest or might you potentially also be looking at the possibility of solar power and therefore also need to monitor solar irradiance levels at the installation site? The most cost-effective and straightforward – because the logger unit is intrinsically weatherproof – option for logging wind data only when you only require to access the data very occasionally (and are prepared to visit the survey site to do so) is the LeWL Windlogger system. The most cost-effective option here is to use a Davis Vantage Vue system, mounting the integrated sensor assembly at whatever height you wish to make wind speed measurements. The key advantage of the Vue is that it provides more flexibility in any onward data link from the logger to any downstream computer. This might for example be a PC at the survey site, if feasible, but could alternatively be a cell-phone modem that allows data to be transmitted continuously to a central server or office somewhere (subject to some supplementary source of electrical power being available at the survey site). Alternatively, the data could be downloaded on eg a daily or weekly basis. NB Please remember that the console receiver and logger units on the Davis systems are not themselves weatherproof and so need to be housed in a weatherproof box (available as a standard Davis spare) if no building/shelter is available at the survey site to accommodate these parts. To log solar irradiance data in addition to wind data requires the more sophisticated feature-set of the Davis Vantage Pro 2 stations. Exactly the same flexibility in data logging options is available for the VP2 stations as for the Vantage Vue models and comprehensive details of the VP2 range, data links etc will be found in our VP2 pages.